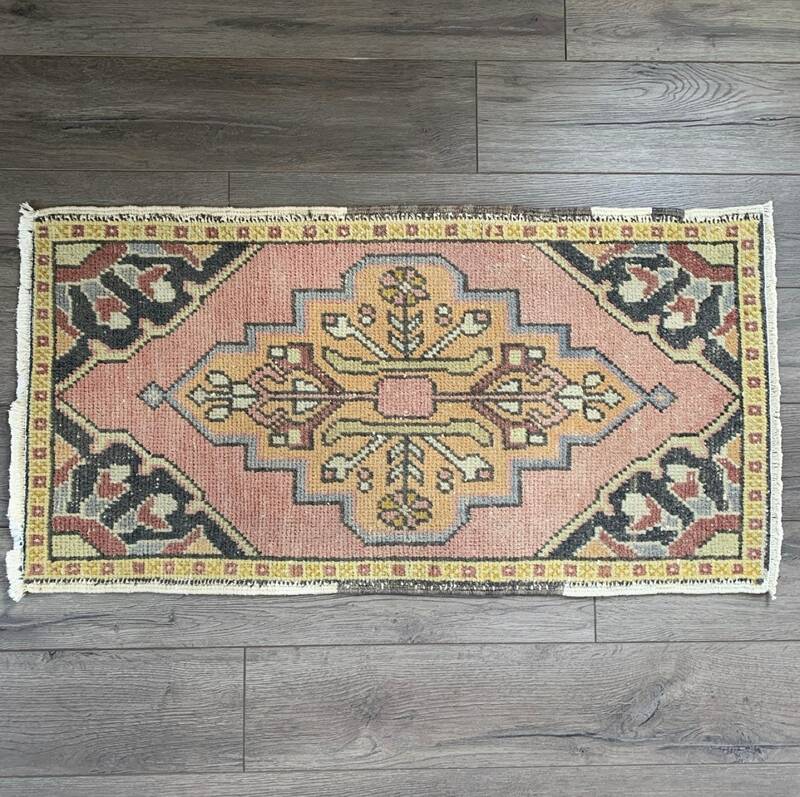 This rug is a stunner! 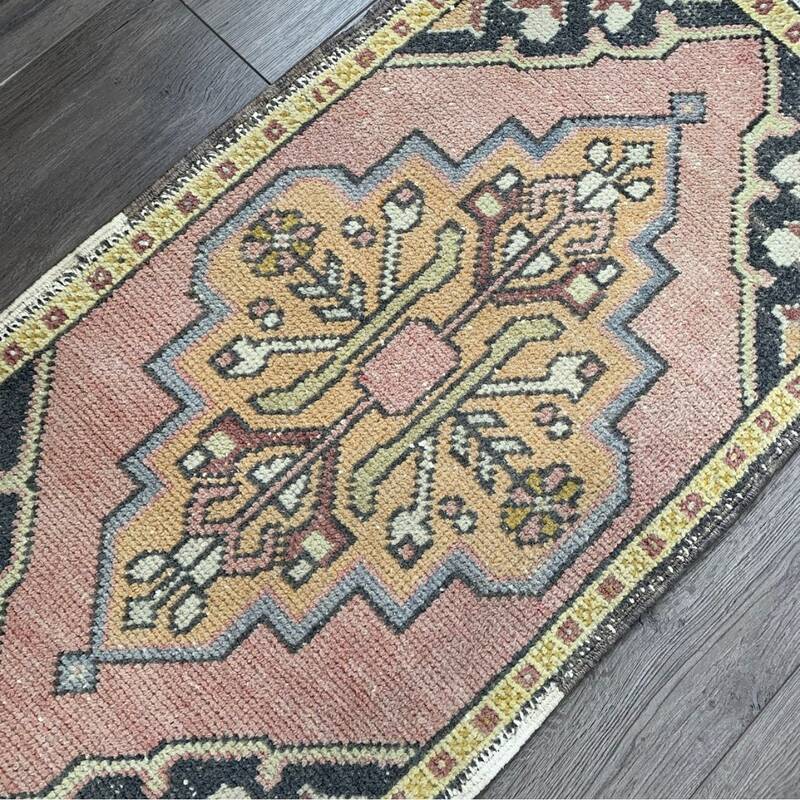 An excellent condition small Turkish Oushak rug in pink and navy blue, with beautiful pastel colours that have really held their pigment. 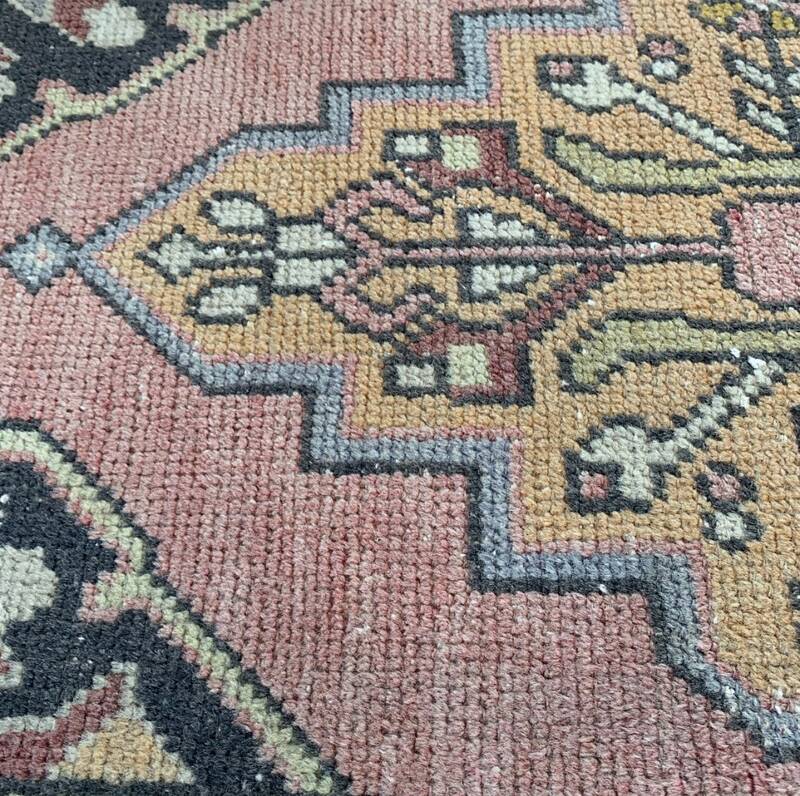 This rug was hand-knotted in the 1950s in Turkey and is in great vintage condition...and it has a twin! 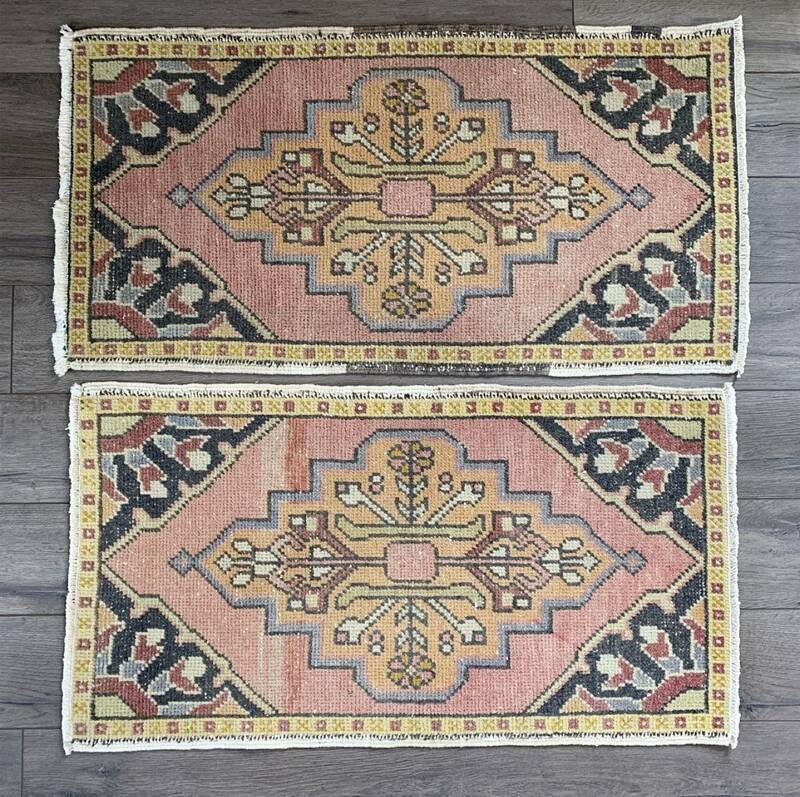 The pair are available together or separately - please use the discount code LOOM15 for 15% off when purchasing the pair. 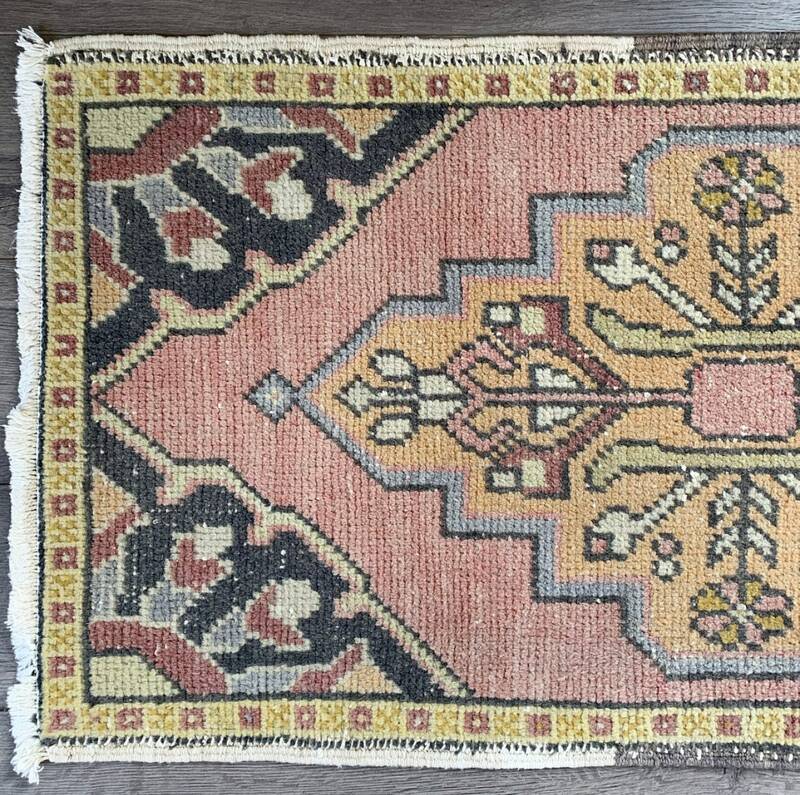 Like it’s counterpart, it has pink on the field, navy blue corners and the pastel orange, pistachio, yellow and blue details make it contemporary and cheerful. Great in front of a bathroom or kitchen sink, or as a door mat. 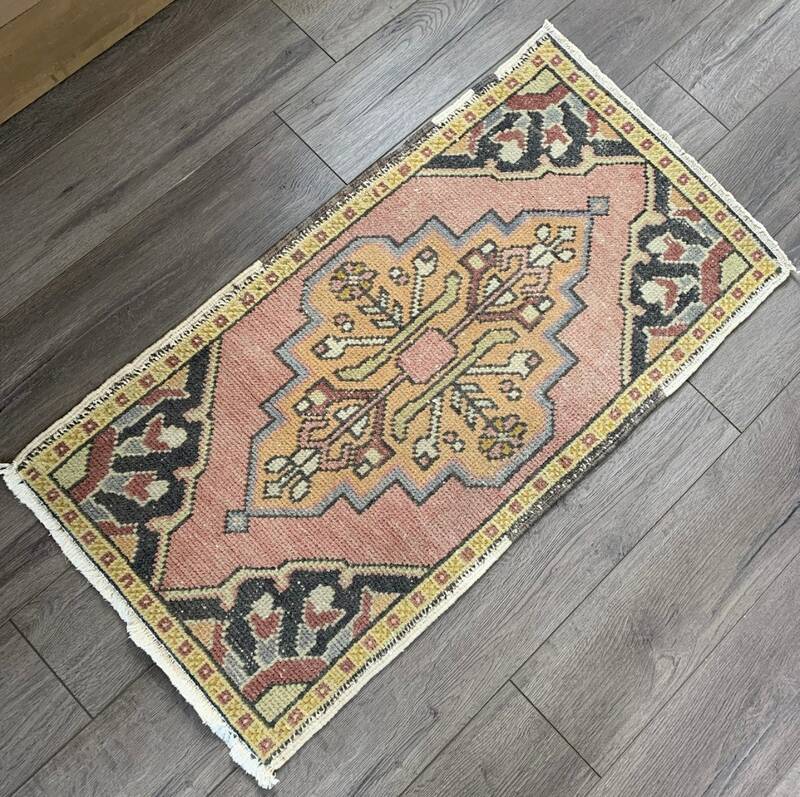 Turkish Oushak rugs are durable and easy to clean, standing up well to regular vacuuming and spot cleaning. 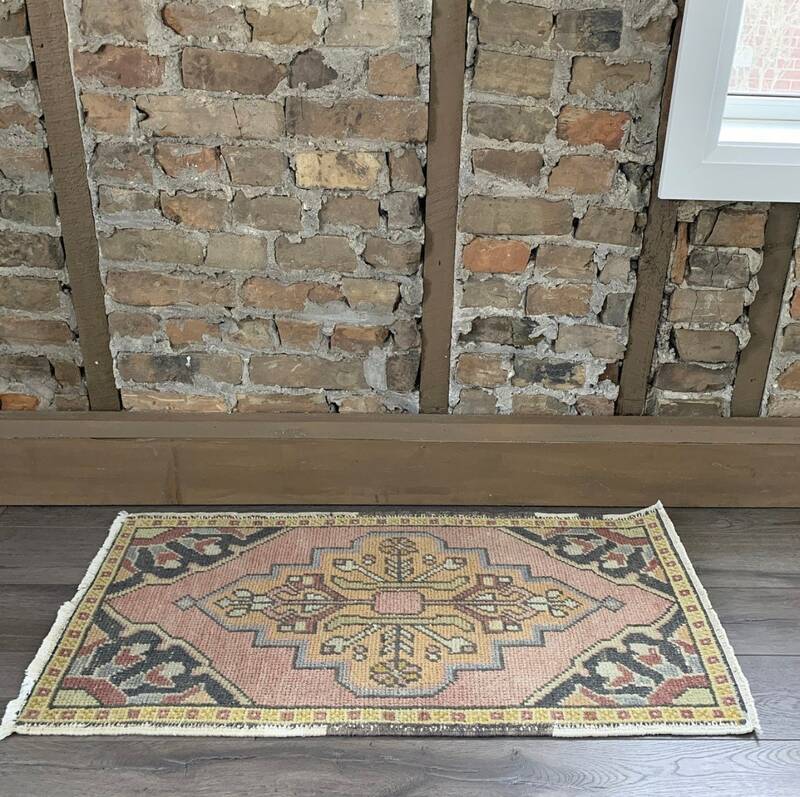 Add a pop of history and colour to your space!